It has become apparent to me since I moved and only brought a sparse amount of books with me, that most of my books NEED prequels. Of course I want sequels for some of them also but I find that sometimes getting some back story that is explained more thoroughly is much better than having a plot that is drawn out through two books. So here are three books that I think the authors should write prequels for. This book has been on my Top 5 Must Reads list ever since I read it a couple of months ago. While the plot is mildly confusing when you first pick it up, there are so many cogs and pieces that bring this story to be the masterpiece that it becomes. A couple of times throughout the story it is mentioned that Hector and the Man in Grey have had a competition like the one is this story in the past. We also meet one of the people involved in a previous competition when we start meeting the performers for the circus. I have been craving more from this author, even though it appears that this was her one and only book. I think it would be perfect to do another book revolving around either more information on the Man in Grey and Hector (seriously how did those two meet?!) or revolving around the competition that occurred before Celia and Marco came together. I can’t be the only one waiting for another book from this amazing author! While we did get a sequel to this book (Yay more information on Fenella!) I personally think it would be interesting to hear the story of Lucy’s mother. We see her briefly throughout this story but we only get a glimpse of the woman who has gone insane due to the curse on her family. We don’t see her struggle, we don’t see her form a bond with the family that took in Lucy and we don’t see her slowly going insane. We only see the end result. It would be very interesting to see a different side of the story, one that didn’t end with a happily ever after. I always like seeing books where you see a darker side of a character and things don’t always work out the way you think they should. I think it would be interesting to see what kind of character Werlin would make Lucy’s mother out to be before she lost her sanity to the curse. Every HP fan always wants more of the wizard world in their life. I will never be satisfied with only having 7 books in the series and will always want more sequels to watch the next generation enjoy. But I have to admit I’m especially curious about what life was like at Hogwarts for James and Lily Potter. What was life at Hogwarts like for Snape? We got a brief glimpse into their lives as teens in one of the books, enough to know that James used to bully Snape, but I really want more. Especially considering their lives may have been very different without the incredibly real threat of Voldemort. It would be an interesting read and it would make my little Hufflepuff heart very happy. While these are only my top three favorites, every time a read a book I’m always curious what the world was like for the older generations represented in the book. What was life like for the grandfather in Miss Peregrine’s Home for Peculiar Children? What was life like under the Mad King in the Game of Thrones world? So many questions and not enough books! What prequels do you want to see? It’s been a long while since I’ve been in the blogging sphere, partially because of all the moving and partially because I haven’t been reading enough between jobs and Etsy to make time for the blog. Twice a week will be new book related pieces. This includes books I’m excited for, how to get out a pesky reading slumps, bookshelf organizations, the list could go on! Once a week will be an adorable book DIY project. These will be either paper projects, knit or crochet. If it is knit or crochet, the finished product will be over on my Etsy shop for purchase for those of us who love looking at crafty things but can’t ever muster up the courage to get into it. Last but certainly not least will be book reviews. My goal is to post one of these every two weeks since I work in a bookstore and finding time to read really shouldn’t be as hard as I’m making it. If you have DIYs that you want to see definitely let me know! Feel free to leave any book recommendations in the comments to! See you guys tomorrow for an awesome bookish post! According to the grinning engine of madness and mayhem known as The Joker, that’s all that separates the sane from the psychotic. Freed once again from the confines of Arkham Asylum, he’s out to prove his deranged point. And he¿s going to use Gotham City’s top cop, Commissioner Jim Gordon, and his brilliant and beautiful daughter Barbara to do it. Now Batman must race to stop his archnemesis before his reign of terror claims two of the Dark Knight’s closest friends. Can he finally put an end to the cycle of bloodlust and lunacy that links these two iconic foes before it leads to its fatal conclusion? And as the horrifying origin of the Clown Prince of Crime is finally revealed, will the thin line that separates Batman’s nobility and The Joker’s insanity snap once and for all? This is the first time I’m reviewing a graphic novel on this blog I believe and honestly I was waiting for the right one to start this with. Alan Moore is by far my favorite writer in the graphic novel and superhero world and it felt only fitting to start the graphic novel reviews with one of his most incredible, and also most disturbing graphic novels. 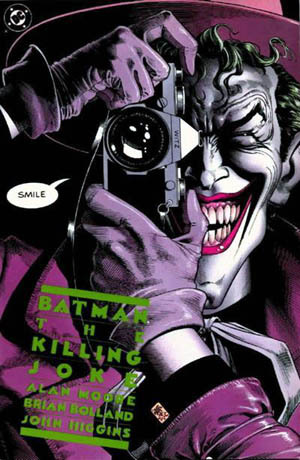 The Killing Joke is not for everyone and I will say that there is one instant were it could be a bit trigger, although it is still very mild compared to other triggering pieces of literature. This is the graphic novel were we, the reader, are presented with the first serious look at how the Joker became the Joker. What caused him to be the psychotic man he is today? And I must say that Moore did a beautiful job at presenting the Joker’s potential story with dignity. The flashback series that allow us to glimpse back into the Joker’s former life are done minimally and flow very nicely with the story itself. In my opinion the color scheme of the flashbacks has a large amount to do with this. In each flashback we are presented with a different color scheme than we see in the main story. It seems to be more of a dreary color compared to the vibrant and deep colors in the main story panels. The flashback colors also seem to be more associated with the Joker’s state of despair as we see him struggle through financial and mental stress. In contrast the main story line panels are in full color and are deep rich tones, although they are very dark at times. I think in terms of story this graphic novel was superb. Although it was admitted that this may not be the Joker’s real backstory but one instead one of the delusions he came up with, I think it adds to who he is as a character. It feeds the idea that all it takes is one bad day for a normal person to snap into insanity. One bad day is ultimately all that separates the Joker and Batman, at least according to the Joker. Sarah Dessen has a knack for taking hard hitting topics and making them seem relatable, even if you have never been in the situation covered or known someone who has. 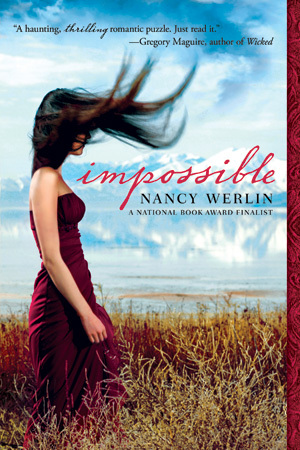 These books take you to a place where you can remember a feeling you had once upon a time and allow you to empathize with a character and family you have never meet in your lifetime. They allow you to relate to a situation that many hope to never experience. That in itself is incredible, especially when many think that Young Adult contemporary literature is made of fluff and rainbows. Saint Anything focuses on the life of Sydney, a girl who seems to be stuck in the shadow of a brother who is an addict, a brother who made choices that set his life on a drastically different path than hers. Throughout the story it becomes very apparent that to her family Peyton, her older brother, is the sole focus and to some extent that is needed. Dessen makes the reader aware of how one person’s choices effect the choices and decision of those around us by examining the relationship between Sydney, Peyton and their parents. Sydney from the start is seen as invisible to her family and in some cases she likes it that way. But soon it became very much a story of finding a way to be seen and heard through the chaos. Sydney is a character that finds a way to speak her mind and make herself seen to those around her simply by finding herself and in true Sarah Dessen form, ends up being a character that pulls at the readers heart strings and makes them empathize with a character whose traits they have seen in the people around them, if not in themselves. Although Sydney is the main character is this story, the other characters find themselves becoming the prominent character throughout different parts of the book. I have always felt that Dessen had a flair for making readers aware of the strings that hold everyon’es lives together. When one string is cut or tugged or tied to another it sends ripples through the rest of the strings we are touching. Saint Anything captured the most intensely beautiful idea that there is always at least one other person who can, if you will, feel when our string is being tugged or cut. 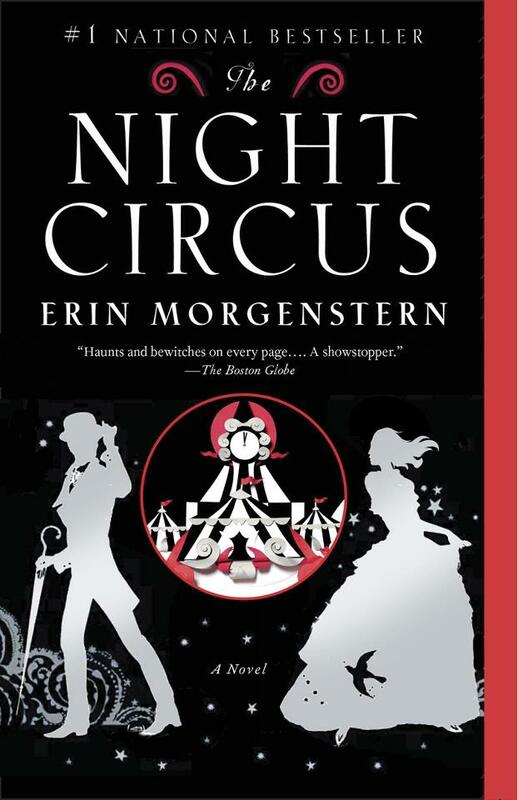 As a final thought I think it’s important to add that books like this in the YA contemporary genre start a discussion. They present the reader with the idea that YA contemporary can be fluff and rainbows but it can also dissect the lives of those around us. Saint Anything presents situations like substance abuse, terminal illness, friendship and finding who you are and makes them relatable to the general public. Books like this cause us to think and examine the relationships we form with those around us and why we chose the people that we did. 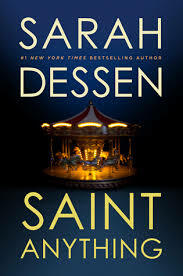 Dessen and so many other authors in the YA contemporary genre use books like Saint Anything to allow people to have their voices heard and to me that is the greatest and most incredible thing literature can do. I encourage everyone to pick up this incredible book. As my time in Austin comes to an end I have been trying more and more to adventure into the best museums, bookstores and restaurants that Austin has to offer. This city is built of amazing hole in the wall places so I will not have a shortage of places to explore before my time here is up. Recently my roommate and I discovered that the museum on the university campus, the Harry Ransom Center, had an Alice in Wonderland exhibit going on. Since I find that Alice in Wonderland is one of my favorite nonsensical classics I was really excited to go see this exhibit. For those of you who are unaware of what Alice in Wonderland is about, its a classic that focuses on the adventures of a little girl named Alice through a land that’s not really real called Wonderland. She follows a peculiar rabbit, meets several incredible creatures like an opiate smoking caterpillar, a cat with a cheshire grin and twins who are definitely very strange named Tweedle Dee and Tweedle Dum. While this book’s plot is rather not there, it has been the basis for many movies, cartoons and even some “spin-off” books like Jabberwocky, a book of nonsense. The exhibit at the Harry Ransom Center did an incredible job of detailing the history of Alice in Wonderland through some original art, 150 years of Alice covers and some truly incredible art pieces by artists like Salvador Dali. I did get a chance to vlog the experience, with permission of the museum of course, for your viewing pleasure as well. I didn’t vlog the entire experience because then there would be no point in going but I got enough to show some of the awesome pieces that were curated for the exhibit. So sit back and enjoy! My roommate Olivia also vlogged the adventure so feel free to check out her video as well. “The year is 1945. Claire Randall, a former combat nurse, is just back from the war and reunited with her husband on a second honeymoon when she walks through a standing stone in one of the ancient circles that dot the British Isles. Suddenly she is a Sassenach—an “outlander”—in a Scotland torn by war and raiding border clans in the year of Our Lord . . . 1743. Going into this book I was expecting it to be an adjustment. Up until this book most of my reading has been YA focused with a smattering of Adult Fiction (usually contemporary fiction). So when I picked up this book I was assuming I would need to switch my mindset to a similar one needed for reading books like Game of Thrones. I was very very wrong. This book combines history, romance and battle between countries and clans with elegance that reminds me very much of the All Souls Trilogy written by Deborah Harkness (a trilogy that is one of my favorite works of Adult Fiction). It uses just enough historical reference to allow the reader to adjust to not one but two different time periods while not being overwhelming. The plot in Outlander keeps the reader on their toes with events that last long enough to keep the reader held in the author’s grasp without making the reader wait three more books to get to the bottom of what’s happening. I will say though that my favorite part of this book, and the part I’m looking forward to in the next books in this series was the characters. 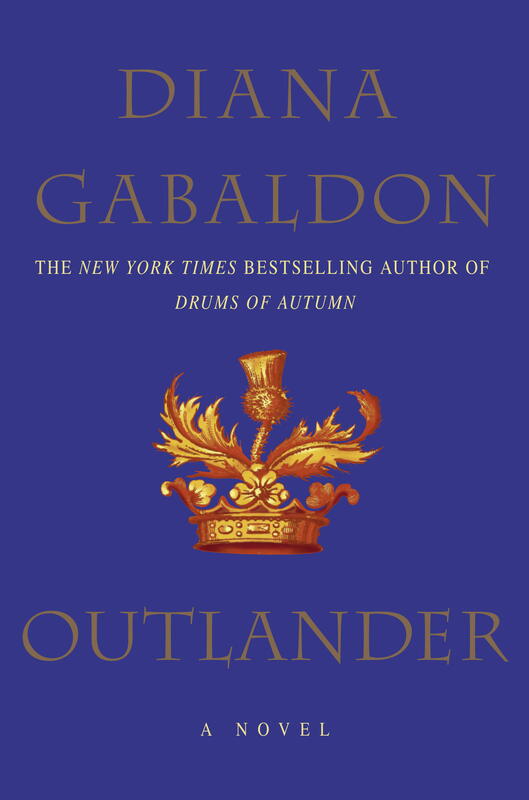 Gabaldon does an incredible job creating characters that the reader connects with instantly. I don’t think there was a character in this book that didn’t create some sort of emotion for me, good or bad. And when the characters were meant to be loathed it was easy as a reader to get that and then come to that feeling in our own time as we watched their actions unfold *cough* Jack Randall *cough*. I keep saying it but these characters were brilliantly written. Even towards then end, and in some of the events that happened throughout the book, I found myself genuinely caring about the choices that each character made and how it affected them as a person. Absolutely brilliant. I also thoroughly enjoyed the fact that the female lead in this book, Claire, is kickass. She might be out of her own time period, might not speak Gaelic and definitely doesn’t know close to anything about how to function in the time period she got thrust into but damn if it stops her from being a strong independent woman who does what she needs to to take care of herself. The fact that she can rely on other people while still being able to make decisions for herself is one of the many reason that she has become one of my all time favorite female characters in ANY book. And can we just talk for a second about James Fraser? I will say that I’m usually wary of quick romances in books because sometimes they can get out of hand and end up turning a well written novel into something focused romance instead of plot. But the introduction of James Fraser introduced an entirely new aspect to this book that I LOVED. And let’s be honest after reading this book everyone wants a Scotsman like James Fraser in their life! The amount of raw emotion that Gabaldon put into this one character was amazing and made me admire her writing style even more than I already did, if that’s even possible. While I will say as a warning to those reading this that this book does contain adult material and also at least one scene that might be triggering for some people, this was well worth every bit of trauma I might have from it. I highly recommend this book to people who are interested in reading historical fiction books or just anyone in general. And now I’m off to pick up the next book in the series.